Jemm offers a variety of supurb products to suit many tastes – each providing a different way to display your photographs so that they can be admired and appreciated on a daily basis. Your digital images are conveniently presented to you on our custom USB’s, or a personalised disc if you purchase a Digital/Print Collection. Our Portrait Folio is a statement piece in itself. Your prints are beautifully mounted within the luxury matts ready for you to frame, or simply keep as they are in the presentation box. You can enjoy looking through them or show them off to family and friends, and it will protect your precious memories perfectly. and looks fantastic taking price of place in your home. The latest in modern presentation. A print is mounted onto a sheet or block of acrylic similar in appearance to glass. A very clean and contemporary effect – it creates a stylish piece of artwork for either the wall, or a table display. Digital photography provides us with so many benefits, but how many photos have you taken that have stayed stored on your computer without ever being shared or looked at again? of one of the most important days in your life. We only offer exquisite handcrafted albums of the highest quality. Exhibiting class and elegance, allowing you to reflect on your wedding day together, share your story with loved ones and pass the photos down from generation to generation. Your wedding images deserve nothing less. 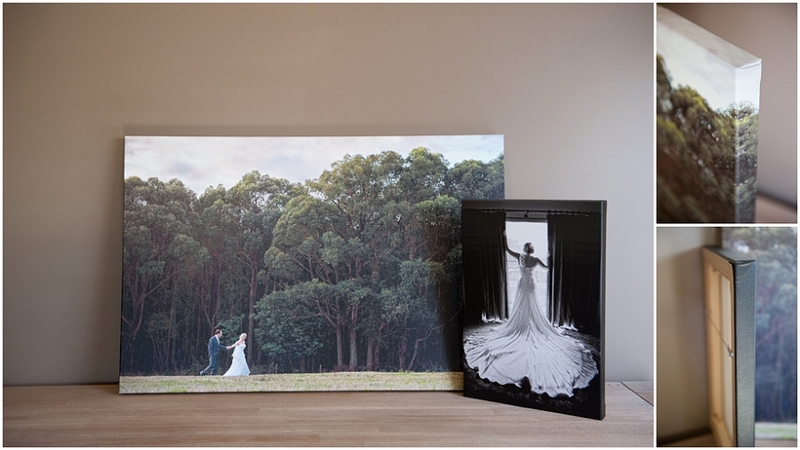 An exact replica of your primary Wedding Album, in a smaller size. What a lovely way to surprise your parents and in laws to show your appreciation and love. For more information regarding our products please complete the contact form below.